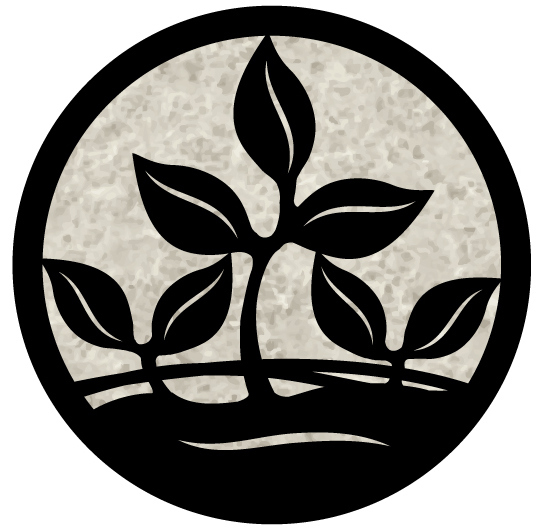 For those of you who purchased, and installed, a Woodstock Soapstone Co. wood stove in 2017 - we have good news! The very popular residential “Home Energy Tax Credit” for Energy Star certified improvements which had expired, was retroactively restored for 2017. The amount of the tax credit for a qualifying biomass stove is $300. Consumers must keep a copy of the tax certificate found on our website with their tax records but do not need to submit it to the IRS with their tax returns. Eligible stoves must be purchased and placed into service in an existing primary residence between January 1, 2017 and December 31, 2017. The current tax credit can be applied to the purchase price and professional installation costs up to a maximum credit of $300. 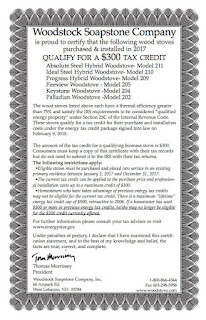 Homeowners who have taken advantage of previous energy tax credits may not be eligible for the current tax credit. 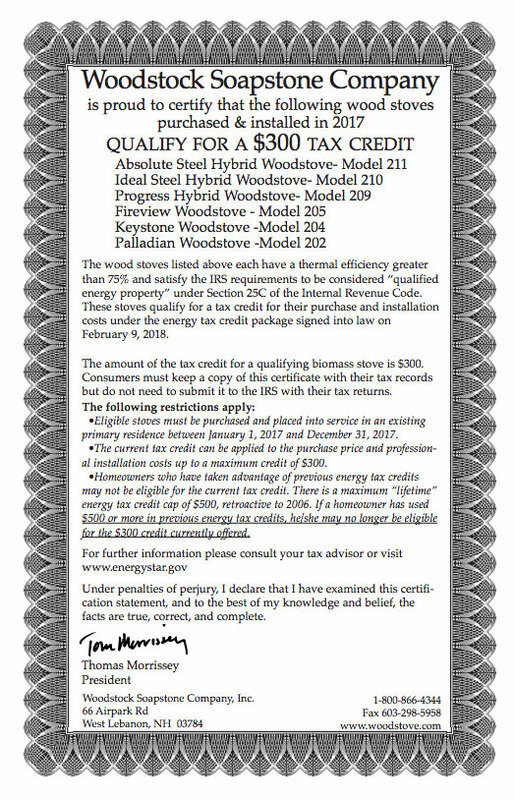 There is a maximum “lifetime” energy tax credit cap of $500, retroactive to 2006. If a homeowner has used $500 or more in previous energy tax credits, he/she may no longer be eligible for the $300 credit currently offered. The thrill of getting the first seed catalogue in the mail! Gardeners have historically heralded the arrival of garden catalogues in February. The arrival of the catalogues in their mailboxes signals the proverbial "light at the end of the tunnel”- yes, there will be Spring! The practice of going through the pages and choosing which vegetable and flower seeds to order is an old tradition. This is a tradition that has provided food for our tables and colorful flower gardens for hundreds of years. The oldest known seed catalogue is believed to date back to 1612, and comes from an enterprising Dutch merchant. 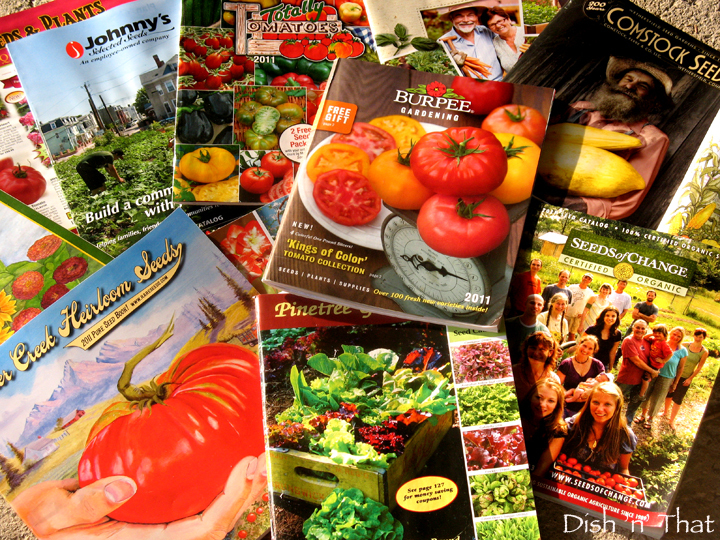 Before catalogues, seeds were saved and passed down year after year to family and friends. Pioneer settlers would bring precious seeds, along with their homestead goods, on their arduous journey to their new homes. 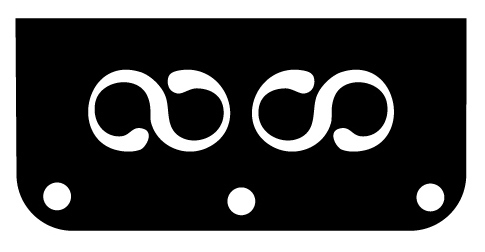 As printing techniques improved, better illustrations and streamlined printing processes helped to elevate the seed catalogue into an extravagant and lucrative business. New varieties of vegetables and flowers had large colorful spreads, enticing and introducing their virtues to farmers and home gardeners across the United States. Seed catalogues are an important part of American history, from Victory Gardens during World War II, to the “Back to the Land” movement in the late 20th century, to the ”Farm to Table” movement in the 21st century. 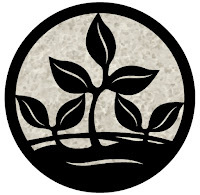 In the spirit of home-grown and sustainable practices, Woodstock Soapstone Company continues to design and promote clean burning wood stoves, to keep you warm while you dream about Spring as you flip through all those seed catalogues in February. 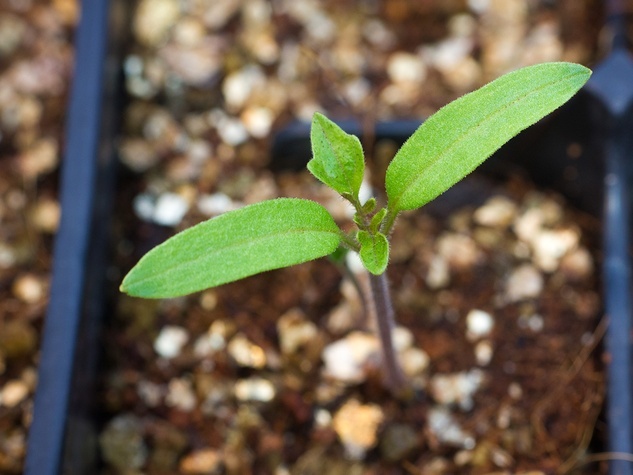 To commemorate this yearly rite, our February Ideal Steel of the Month celebrates the arrival of the seed catalogue with sprouts and sunshine. Enjoy the warmth of the fire of the Ideal Steel Hybrid wood stove inside your home while waiting for seeds to arrive, and for winter to turn to spring. 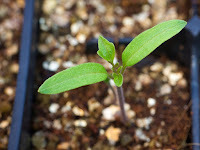 The seedling sprouts and sunshine designs will serve as a reminder of the warmer weather to come. If you would like to discuss color schemes, installation, specifications or to proceed with this amazing Steel of the Month deal, just call our office. Our customer service team are all ready to help. Call 1-800-866-4344 or reserve our Woodstock Ideal Steal of the Month woodstove today- because these sprouts will be grown and gone soon!